Which does not add up with their behaviour on social media at all. UPDATE: I just filed a spam report on twitter.com about this matter, including the information above. That is except Also admitted in the mail was, that they don’t use social media to communicate with clients, apart from maybe linkedin, (as an explanation why nobody cared about my tweets ;)). Also the army of tweetbots is justified by, that many parts of the industry do it and that it’s offered as a service to clients. Now I don’t know how big parts of the industry are defined, but this is the most annoying and also the only that was not emitted by some scam company for shady sites, that I’ve ever seen. Eventually, I was asked to remove this post (I guess my search engine ratings are too high and that’s something they had to react on, in contrast so somebody just tweeting at them). A client is an application you use twitter through. A great example for that is tweetdeck, because it has multiple columns and you can get it on Windows and MacOS, because it is written in Adobe AIR. I like to keep track of my friends timeline, my mentions and a facebook newsfeed. The fourth column changes between different lists and searches. If youâ€™ve been tweeting and including links in your tweets, you may have noticed that links take a big chunk of the overall tweet length, which is limited to 140 characters after all. Link shorteners will be your friend. There are multiple services for that out there, I personally use bit.ly, because it’s widely spread and easy to integrate to tweetdeck or available as a plugin for Chrome/Chromium. There are different tools for analyzing your or others accounts. 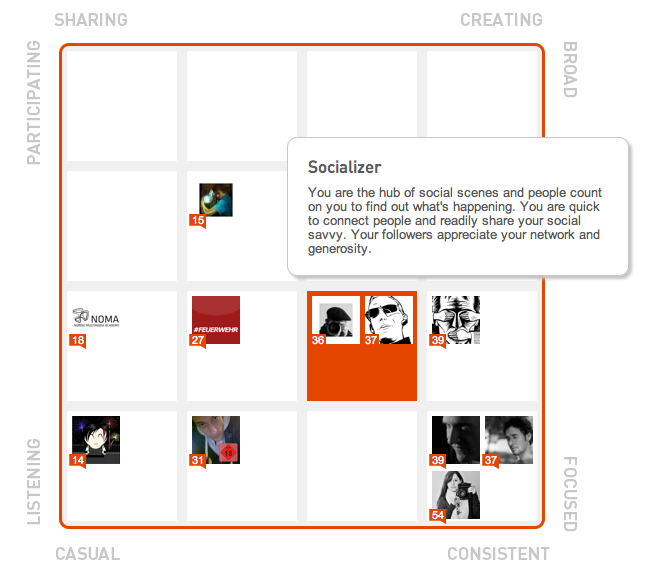 A service which is fairly new and very powerful is Klout. It calculates how you impact twitter with your tweets upon how much reaction like mentions or retweets you produce. 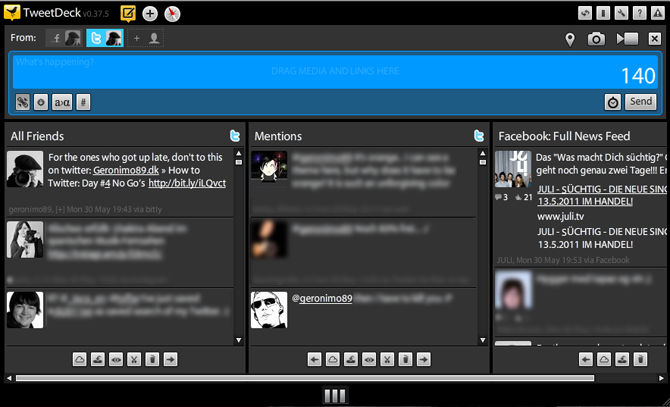 It also analyzes your style, if you mostly tweet links, mention other users and so on. There is a ranking plugin available for Chrome to see other peoples Klout score directly on the twitter website. I can only recommend you chain your facebook profile to your twitter account and let your friends there know what you’re posting on twitter. Just go to the twitter application. These were the first five days of How to Twitter. If you have any questions or suggestions, feel free to comment Thanks to everybody who followed through so far! donâ€™t kill it with boredom. Itâ€™s been a long time since my last status update, so here we go: looking for breakfast. When youâ€™re a blogger, you should add some personality to your blog, thatâ€™s correct. If you donâ€™t have a blog and are worried that your twitter account has some spider webs on it, use it as motivation. Get up, do something, tweet that. Of course it is, so donâ€™t retweet somebody a lot of your followers are following, it will just annoy them and flood their timeline. Furthermore, donâ€™t link the same post/site twice without telling you have tweeted it before. Include a memorable title, or users will be disappointed the second time they visit one of your links, they believed to be new. All you miserable maggots will bite to dust and I’ll impale you with a bamboo stick! If you try to stand out as a professional, discuss, donâ€™t harass. What you tweet about is very sensitive. Donâ€™t tweet that you hate work, when you just got hired by a firm and you have no side-projects, donâ€™t put a bounty on peoples head, imagine your audience sitting in front of you. To get away from you, they just have to click unfollow instead of leaving the room and giving you the possibility to question why, like in the physical world.